So what is the shortest novel ever written? Umberto Eco nominated El Dinosaurio (the dinosaur) by Augusto Monterroso: Cuando despertó, el dinosaurio todavía estaba allí. (“When he awoke, the dinosaur was still there.”) I agree that this line is suggestive of an interesting story. It portrays characters and has a partial plot: there’s a dinosaur; before the story begins, a male character falls asleep or is knocked out; he wakes up, and the dinosaur is still there. Why is the dinosaur still there? Why is the man surprised? (Think of the word “still.”) But this line does not even make up a short story if you ask me because we can only guess at the relationship between the man and the dinosaur, what happened before, and what will happen later. 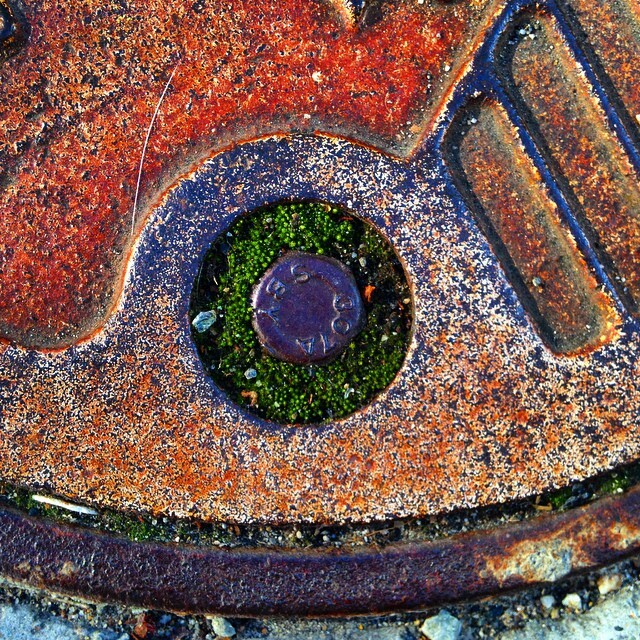 Rather unsatisfying. Another candidate is often attributed to Hemingway, but the author is unknown: “For sale: baby shoes, never worn.” This makes a better story. Somebody is selling baby shoes that were never used, creating a poignant mystery. Was there a miscarriage or a still birth? Was the baby killed or kidnapped? Although we cannot pin the details of the plot down, we feel empathy for the parents and the lost child. I will grant that it makes a good short story, but is it really a novel? 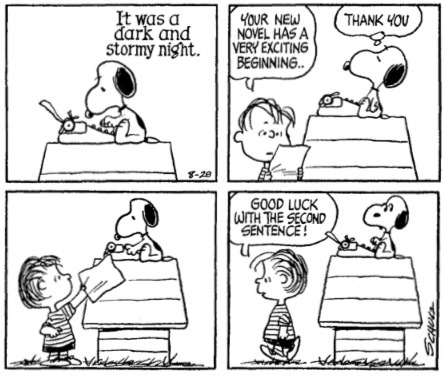 Snoopy’s novel is a much better candidate for the world’s shortest novel. Although it is not of “considerable length,” it represents a breadth of emotion and experience that are common characteristics of the novel. 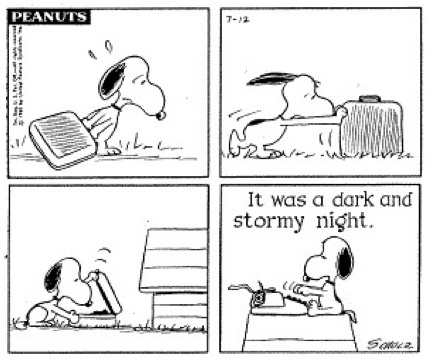 Throughout Charles M. Schulz’s famous comic strip Peanuts, everyone’s favorite beagle is working on a novel or a series of novels that begin with the line “It was a dark and stormy night.” George Earle Bulwer-Lytton made this line famous in his 1830 novel Paul Clifford, but Snoopy is not the only one to use it. Madeleine L’Engle opened up her 1962 young adult sci fi novel A Wrinkle in Time with this famous line, and it has appeared in many pop-cultural references. 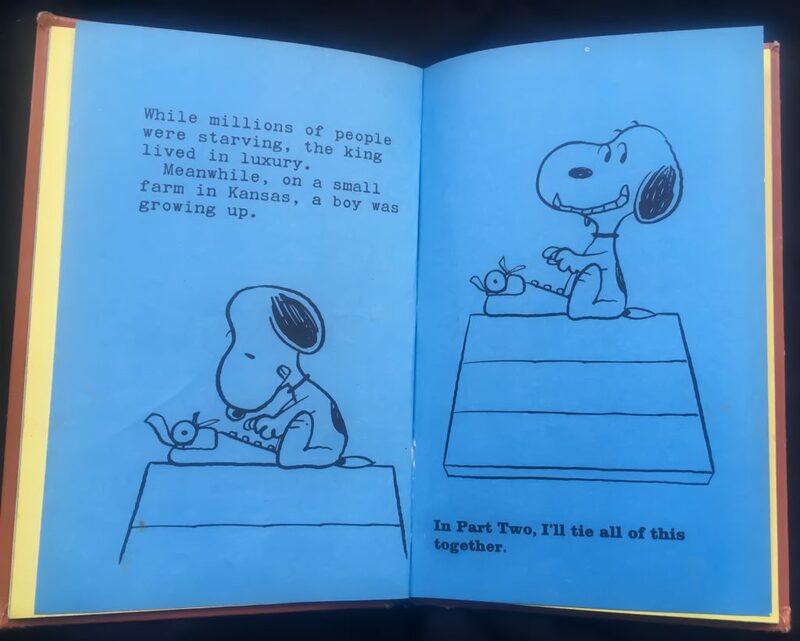 In 1971, Schulz published a metafictional cartoon book about Snoopy working on his novel, a compilation of jokes from previous comic strips, illustrating the struggles of the writer. 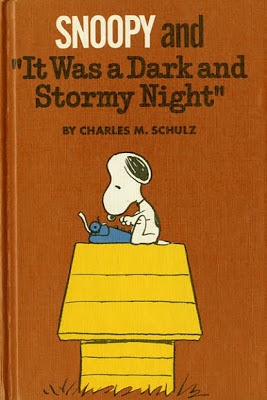 Here is the cover of that out-of-print book with Snoopy on top of his dog house, slaving away on his typewriter. Suddenly, a pirate ship appeared on the horizon! While millions of people were starving, the king lived in luxury. Meanwhile, on a small farm in Kansas, a boy was growing up. At that very moment, a young intern at City Hospital was making an important discovery. The mysterious patient in Room 213 had finally awakened. She moaned softly. Could it be that she was the sister of the boy in Kansas who loved the girl with the tattered shawl who was the daughter of the maid who had escaped from the pirates? And so the ranch was saved. 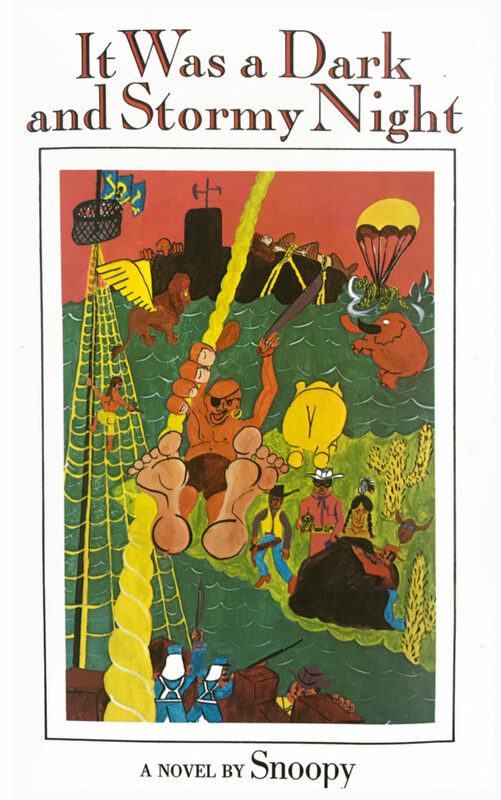 Suddenly, a pirate ship appeared on the horizon!While millions of people were starving, the king lived in luxury. Meanwhile, on a small farm in Kansas, a boy was growing up. At that very moment, a young intern at City Hospital was making an important discovery. The mysterious patient in Room 213 had finally awakened. She moaned softly. Could it be that she was the sister of the boy in Kansas who loved the girl with the tattered shawl who was the daughter of the maid who had escaped from the pirates? The intern frowned. This version adds a stampede, a fist fight, and a thoughtful, philosophical ending with the young intern in a cafe musing about what he learned. What had he learned about life? That life is a somewhat random knot of characters, events, and genres? If so, that is a profound observation. I will leave it up to you to decide on the meaning of Snoopy’s famous novel, but the fact that the intern learned something about life does show us that Snoopy is attempting to capture a “totality of life,” a goal many of great novelists attempted, including Leo (Tolstoy, that is), who had to write huge tomes to give such an epic view of the world. Innocent bliss transforms over time to sadness that the frog needed to be let go so that it could be free. New knowledge joys and heartaches develop on the baseball field, in school, and at church as the complex evolves in an ignorant world. Dedication solidifies in the streets and home of Argentina. Immense joy and excitement comes in the joining of two lives, forever. That joy evolves to immeasurable joy and at times incalculable pain. It starts again the cycle of new adventures with others related to frogs, baseball, school, church, marriage, and birth but this time from a distance. 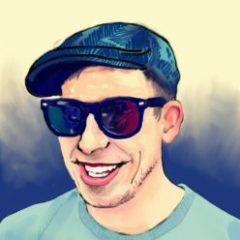 There is an effort to try to reconnect with what was lost. Seeking to reach out but finding barriers and difficulties. This results in finding a simple joy in writing a Novel perhaps shorter than the shortest. Wow! What a great novel, Dan! But what about the King?